Ron Stenberg had a long and distinguished career as an artist, teacher and illustrator. Born in Auckland in July 1919, Stenberg initially studied painting as a young teenager in the early 1930's. 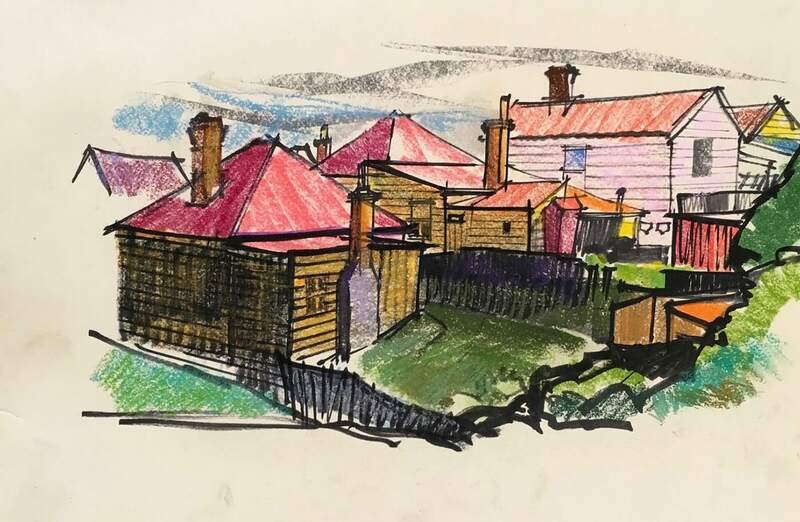 The depression took its toll on his family and he left art school and started work as an illustrator a couple of years later. Over the next twenty years, while working as an illustrator and later in advertising, Stenberg established himself as an artist in New Zealand through exhibiting in group exhibitions at the Auckland Society of Arts. In 1954 a Carnegie scholarship enabled him to travel overseas for two years. 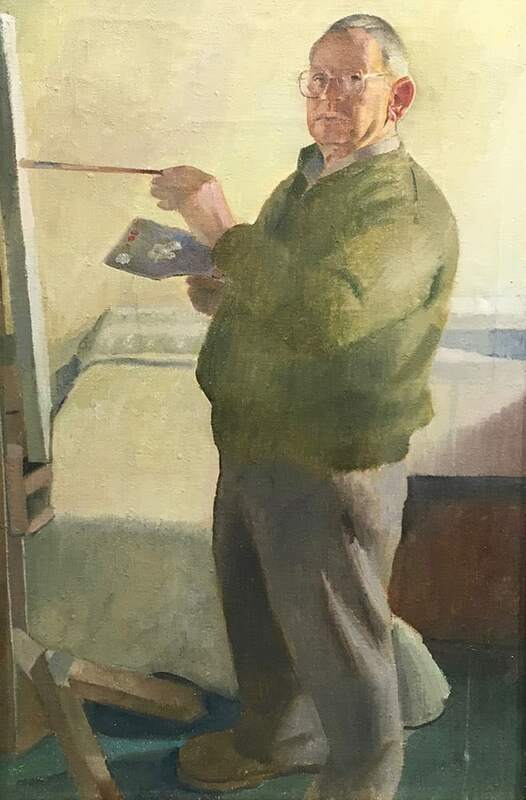 A few years later he was offered a teaching position at the Duncan of Jordanstone College of Art in Dundee, Scotland; he remained there for almost thirty years retiring as Professor of Painting in 1984. He returned to Auckland in 1990.